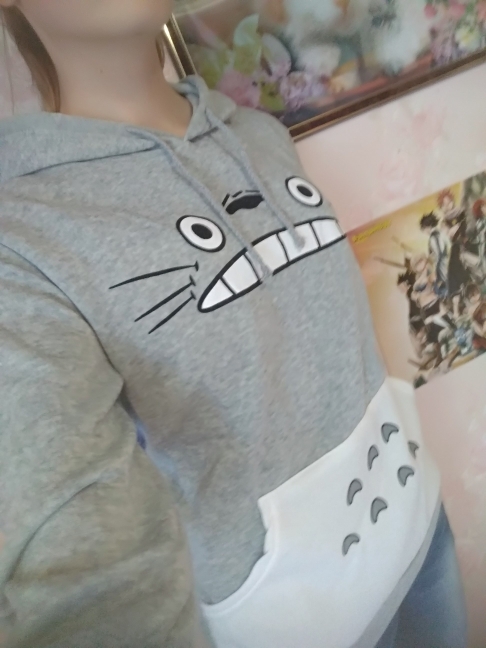 Submerge yourself in Totoro’s world with this adorable and warm womens hoodie when you lounge at home or for an informal outdoor occasion. You will love its soft touch and feel really warm embraced by its soft lining inside and pouch kangaroo pocket. This is the item you need to wear to make you feel cheerful and naughty while warm and cozy. ⇨ Its 100% broadcloth ensures a fluffy touch enhancing the warmth and an extremely lightweight. ⇨ No need to be waiting for ages till it dries and forget about ironing, perfect for wearing as many times as you fancy! 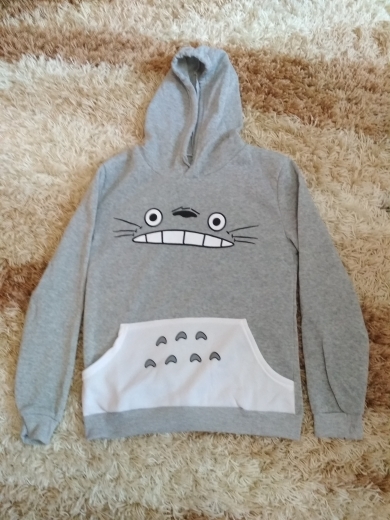 ⇨ This Totoro sweatshirt is available in 4 different sizes S M L and XL. Take a look at the detail chart to help you decide which one is the perfect size for you. 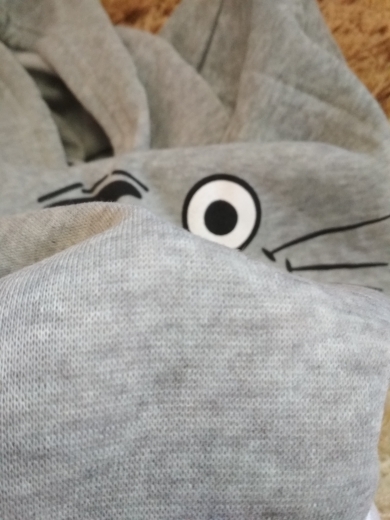 ⇨ This garment has an original pattern based on the anime character Totoro. The main colour of the body is grey and the front kangaroo pocket is white. Totoro’s face shape is in the middle of the chest with its broad rascal smile. ⇨ Other details include ribbed banded cuffs at sleeves and an adjustable drawstring hood. - The sizes are Asian size. it is smaller than EU/US/UK size. Please check the measurement chart carefully before purchasing the item. - Due to different monitors and lighting, the actual color of the item might be slightly different from the color shown on the pictures. - Please allow 1-3cm deviation due to manual measurement. - There may be a slight color/pattern difference between batches. 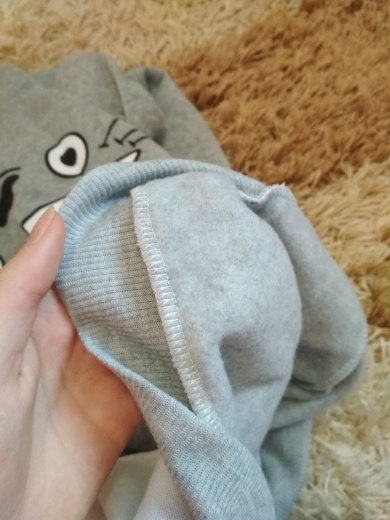 Thin, but very nice body fabric. Very soft inside, warm, cute thing, Happy! Voronezh order reached 10 days! Very fast) Tracked along the route, including. And in Russia. 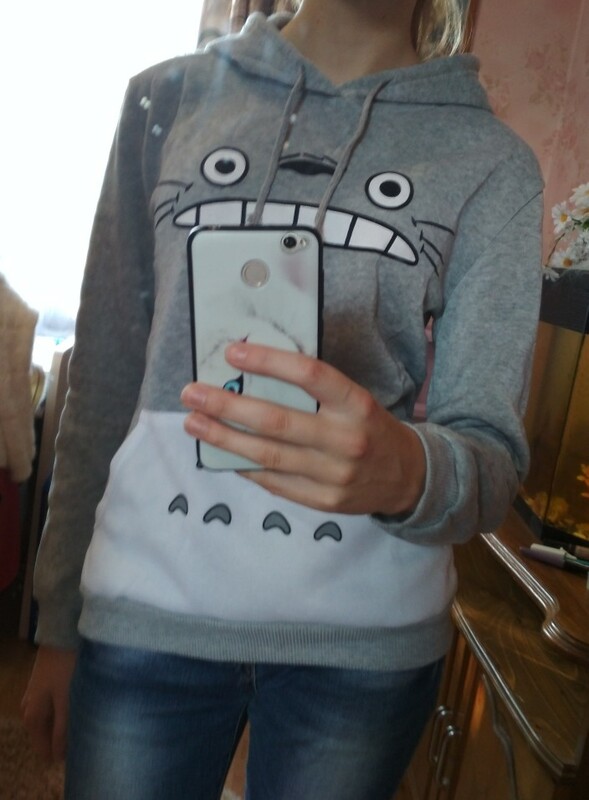 I am very happy with the product, nice body, soft and warm sweatshirt, and most importantly-this muzzle Totoro ^ _ _ _ _ _ _ _ _ _ ^ Thank you for the lovely! The growth of 160 and weight 44 size M got great. Belarus it for a month. Catfish own bike thin, not warm. Nice stuff.